Presentation Description: Researchers at the University of Virginia, beginning with Ian Stevenson, have investigated children’s reports of memories of previous lives for the past fifty years, studying more than 2,500 cases from around the world. The presentation will include a review of the research and the details of two recent American cases. Biography: Jim B. Tucker, M.D. is Bonner-Lowry Associate Professor of Psychiatry and Neurobehavioral Sciences at the University of Virginia. He is continuing the work of Ian Stevenson at the UVA Division of Perceptual Studies with children who report memories of previous lives. His first book, Life Before Life: A Scientific Investigation of Children’s Memories of Previous Lives, provided an overview of the research. 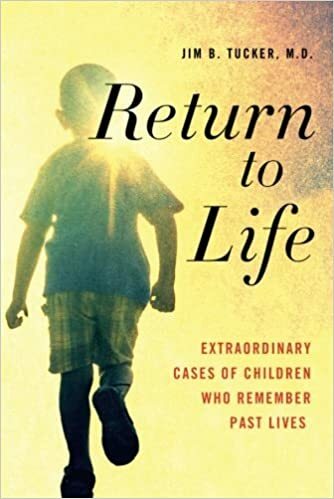 His latest book, Return to Life: Extraordinary Cases of Children Who Remember Past Lives, is a collection of recent American cases he has studied. One or both of his books have now been translated into eighteen other languages. 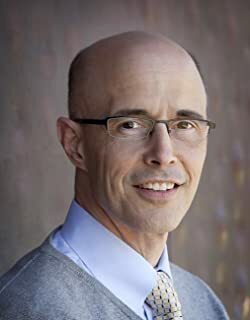 Dr. Tucker attended the University of North Carolina-Chapel Hill, where he graduated Phi Beta Kappa with a BA degree in psychology in 1982, followed by a Medical Degree four years later. He then completed a residency in general psychiatry and a fellowship in child psychiatry at the University of Virginia. After nine years in private practice, he returned to the University and since then has published numerous articles in scientific journals. A board-certified child psychiatrist, he also served as the medical director of the UVA Child and Family Psychiatry Clinic for nine years. 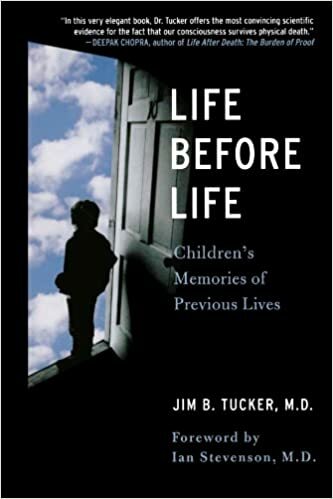 A first-person account of Jim B. Tucker's experiences with a number of extraordinary children with memories of past lives, New York Times bestseller Return to Life expands on the international work started by his University of Virginia colleague Ian Stevenson. Tucker's work, lauded by the likes of Larry Dossey and Deepak Chopra, and described by some as quantum physics, focuses mostly on American cases, presenting each family's story and describing his scientific investigation. His goal is to determine what happened - what the child has said, how the parents have reacted, whether the child's statements match the life of a particular deceased person, and whether the child could have learned such information through normal means. Tucker has found case studies that provide persuasive evidence that some children do, in fact, possess memories of previous lives. Among others, readers will meet a boy who describes a previous life on a small island. When Tucker takes him to that island, he finds that some details eerily match the boy's statements and some do not. Another boy points to a photograph from the 1930s and says he used to be one of the men in it. Once the laborious efforts to identify that man are successful, many of the child's numerous memories are found to match the details of his life. Soon after his second birthday, a third boy begins expressing memories of being a World War II pilot who is eventually identified. Thought-provoking and captivating, Return to Life urges its readers, skeptics and supporters alike, to think about life, death, and reincarnation and to reflect about their own consciousness and spirituality. This popular examination of research into children's reports of past-life memories describes a collection of 2,500 cases at the University of Virginia that investigators have carefully studied since Dr. Ian Stevenson began the work more than forty years ago. The children usually begin talking about a past life at the age of two or three and may talk about a previous family or the way they died in a previous life. Their statements have often been found to be accurate for one particular deceased individual, and some children have recognized members of the previous family. A number have also had birthmarks or defects that matched wounds on the body of the deceased person. Life Before Life presents the cases in a straightforward way and explores the possibility that consciousness may continue after the brain dies. It is a provocative and fascinating book that can challenge and ultimately change readers' understandings about life and death.